Please let us know where you would like your design (above or below text). If you don't specify we'll use our best judgment. The Diamond Ornament/Suncatcher is manufactured by Libbey. 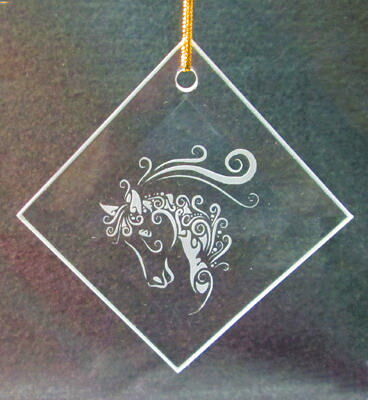 This glass suncatcher ornament is deeply engraved to your liking and comes with a gold string to hang it with. It can be used as both a sun catcher or as an ornament.